B&S began production of the Codera model in 1997. The horns were based on the ideas of Wolf Codera (who gave VMI the license to manufacture them1) and were available in alto and tenor versions only. 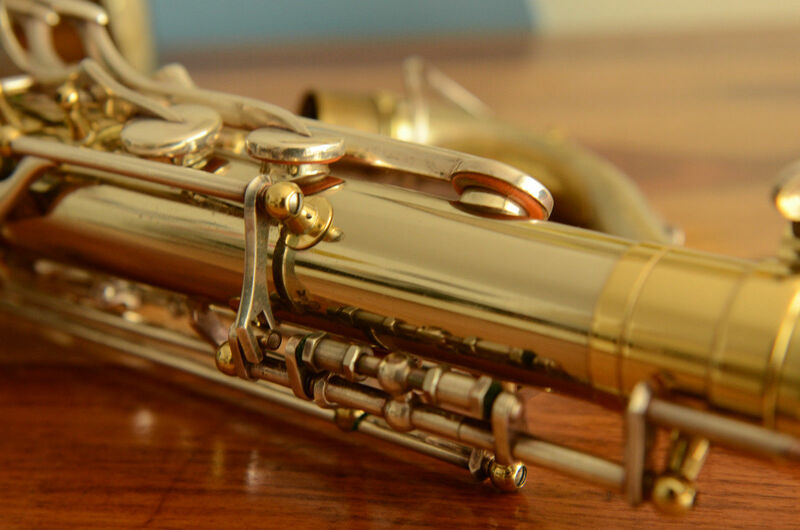 What made these saxophones so unique, was their resoblade technology. What, exactly, is a resoblade anyway? Although the Codera model had conventional pads on all body tube keys, the five keys on the bow and bell (Eb, C, C#, B, & Bb) all utilized resoblade technology. Simply put, resoblades were a piece of metal with a sealing ring. Resoblades are made of a thin metal plate mounted to the keys with a sophisticated mechanical construction… The design allows free swiveling and precise adjustment. 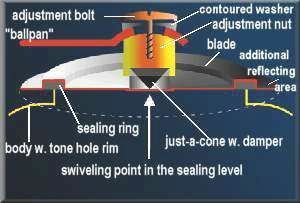 A sealing ring provides precise covering of the tone hole rim. 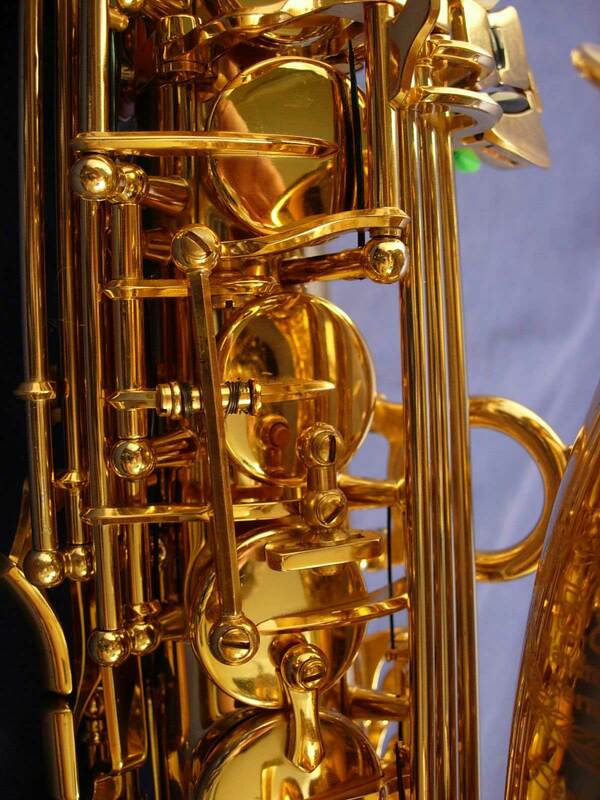 Through this, the special suspension, which was different from that of the Dutch-made Toptone saxophones, an optimal coverage of the tone hole was achieved. Besides the resoblades shown above, the Codera also had a few other premium features. 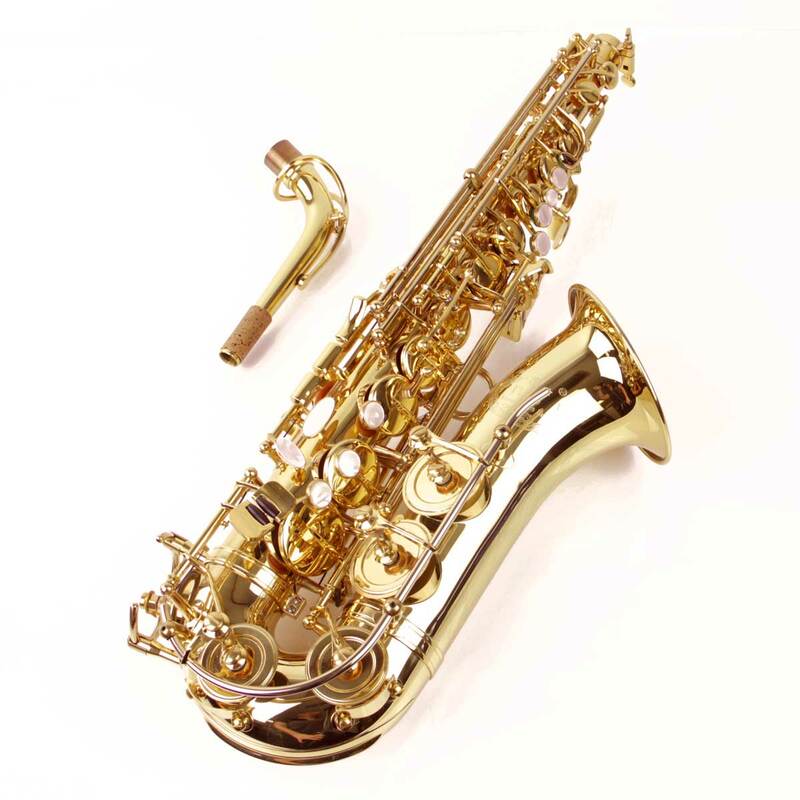 Some eventually were found on other B&S model saxes such as the 2001 and Medusa. Others, like the resoblades, remained exclusively the domain of the Codera. If you’re familiar with JK saxophones, then you’ve likely seen this type of adjustable palm key before. However, unlike JK’s left palm keys where all 3 were adjustable, only the high D and F found on the Codera could be adjusted for height. 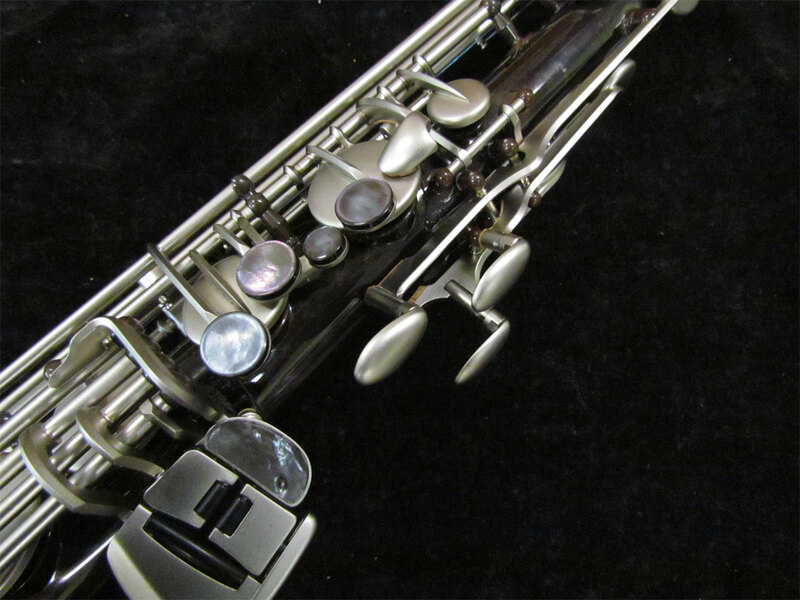 It should be noted that looking at photos provided to me by Dave Kessler, whose music store was an authorized B&S seller, when this feature became available on the 2001 Series and Medusa models, all 3 palm keys were adjustable. At this point you might be asking yourself: Who used this feature first, JK or B&S? That’s a good question. 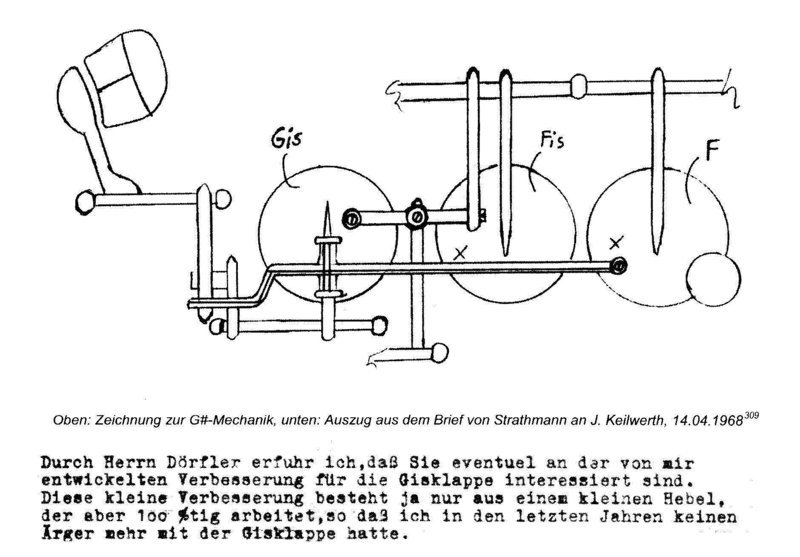 Nothing that I’ve come across in any of the literature would indicate who might have devised such a feature; when it came into use by JK; or if it was patented or not. Unfortunately most of the modern JKs that I have in my gallery were sold with no serial numbers provided. That said, the lowest confirmed serial # that I have for a modern JK with adjustable palm keys is this SX 90 soprano # 104941, which the serial number chart puts from 1996. Unfortunately, that doesn’t help us a great deal in determining which company used this type of key first, since the Codera was well past design phase by then. Remember, it hit the market in 1997. B&S used a variation of this type of anti-stick G# key on their Codera. Later on some of the Medusa models would benefit from this feature, as would latter editions of the Series 2001. This is tenor #011334 with the rocking mechanism that was used to prevent the G# from sticking. Notice that like JK, B&S also had their lever end at the F# key, rather than extend to the F. However, their design differed somewhat from JK’s. Not only is the B&S spring obvious from the front, I’m guessing the two companies used totally different types of springs. Here is another view of a tenor Codera that appeared for sale on the German eBay site. The focus in this shot is somewhat better. Unfortunately the seller didn’t provide the horn’s serial #. 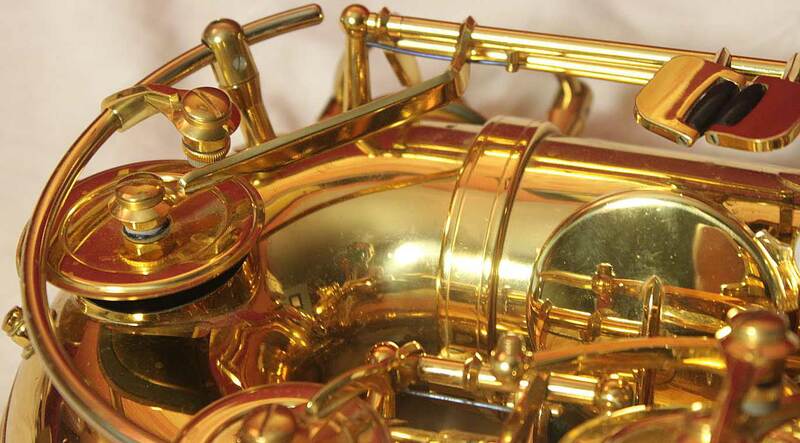 Notice how the arm that operates the little octave lever is of a more conventional design. I don’t know if all tenors were designed this way, or if B&S switched the Codera’s design on all altos and tenors at some point during the production run. Unfortunately I don’t have any other close-up photos of this mechanism in alto Coderas, or in tenors with confirmed serial numbers. At the moment, alto #011256 is the only one that I have seen with the above style of octave key mechanism. That said, felts were still used in the unique octave mechanism design of all Codera saxophones that I have detailed photos of. 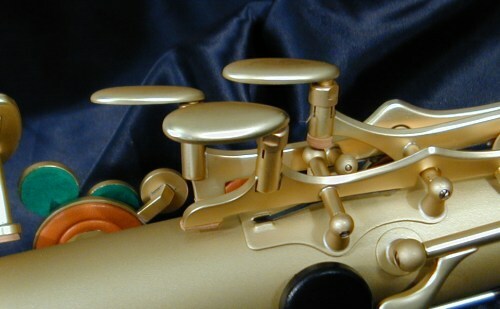 This style of octave mechanism was unique to the Codera model, and wasn’t seen in other B&S models such as the 2001 or the Medusa. 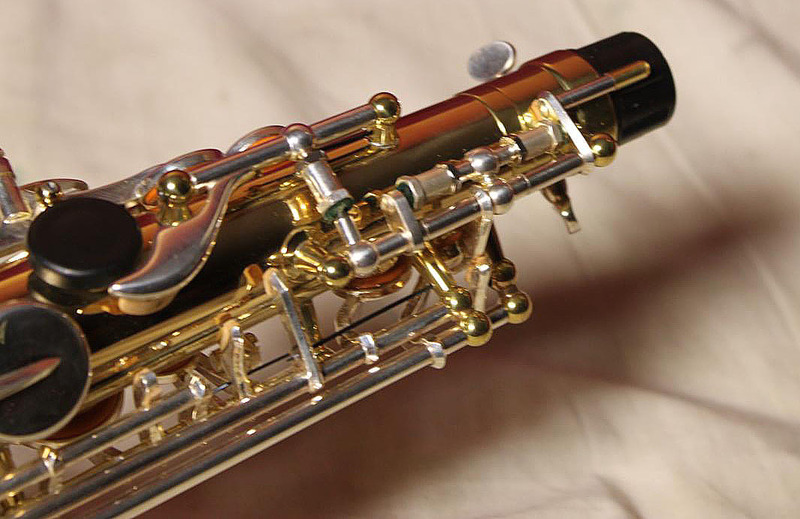 As mentioned at the outset, the B&S Codera model was only available in alto and tenor versions. The invention relates to a key (1) for a musical wind instrument having sound holes, with a reverberating surface (9) facing the sound hole, for the sound, and with a sealing surface (2) adjacent to the sound hole edge, whereby the sealing surface (2) annularly surrounds the reflecting surface (9), and a second reflecting surface (9) is fitted radially outside the sealing surface (2). The key (1) is fastened to a movably accommodated support (3), which guides the key (1) between a position that closes the sound hole and an open position. 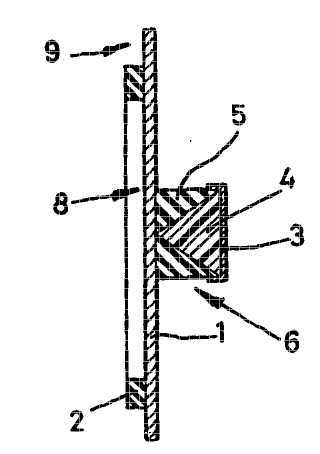 ; The invention is characterized in that the key (1) is fastened to the support (3) by means of an elastically ductile intermediary piece (4), and the intermediary piece (4) tapers from a first, base-forming end to a second, more pointed end, and the intermediary piece (4) is fastened at one of these ends to the key (1) and at the other end to the support (3). The intermediary piece (4) is enclosed by a vibration-reducing damping body (15) [sic should be 5] which is softer than the intermediary piece. If you were a member of SOTW in the early 2000s, you may remember seeing Wolf Codera participating in discussions about the saxophones that carried his name. 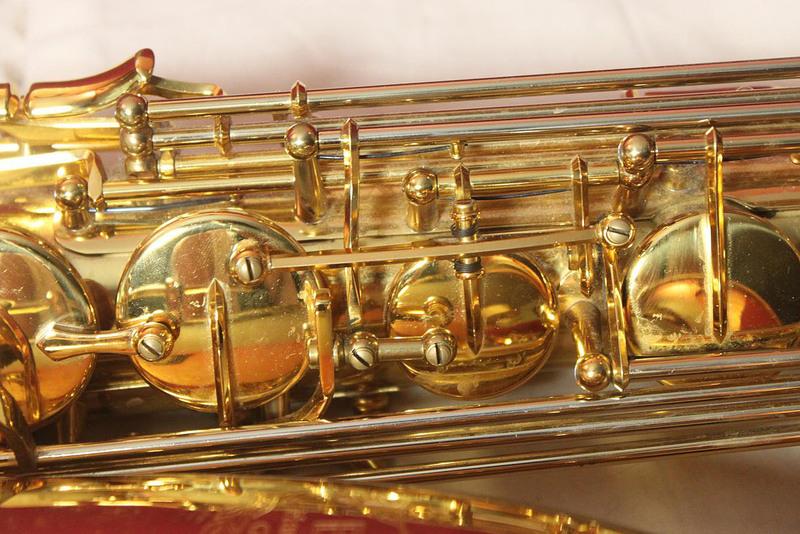 It is on this forum that you can still find evidence of the two models of saxophones that were to be the next generation of alto and tenor Codera horns: the Codera Tresonance and the Codera Vintedge. The Tresonance model is featuring Medusa body, resoblades on palm keys/trill keys/lowest five keys, Vintedge pads in the remaining cups, titanium clothguard (changes bell resonance), Codera Keyguards etc. The Vintedge model is featuring resoblades just on the lowest five keys, Vintedge pads in the cups and the rest is like the Medusa. Cork and felt are mostly replaced by synthetic materials, engravement is rich, Selmer style. The most easy thing getting the resoblades replaced is to order the desired blade unit and replace it just using a screwdriver. The “new” resoblade units (which are used on the Codera saxophones “Tresonance” and “Vintedge”) available at Codera-windstruments & tools look a little different from the license blade units used by VMI for “their” B&S Codera horns but they can be easily used in the B&S Coderas. The main difference is the later replacement, which means: it is less expensive using the Codera spare parts (sealing rings glued into screw mountable blade portions, decoupling elements and adjustment nuts) in contrast to the B&S Codera spare parts (glued sealing rings, glued acoustical decoupling elements and glued adjustment nuts). 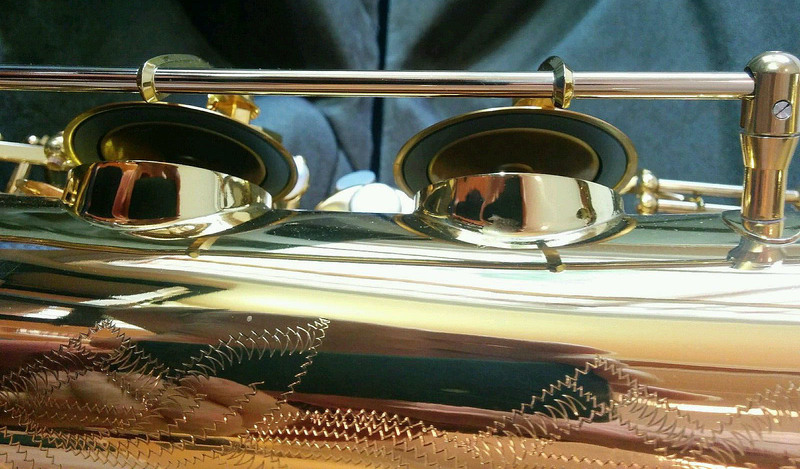 However it is most important to let a repairman check whether the lowest five tone holes are flat and whether the body-bow connection is tight. Having fixed these problems you get one of the best saxophones ever produced. 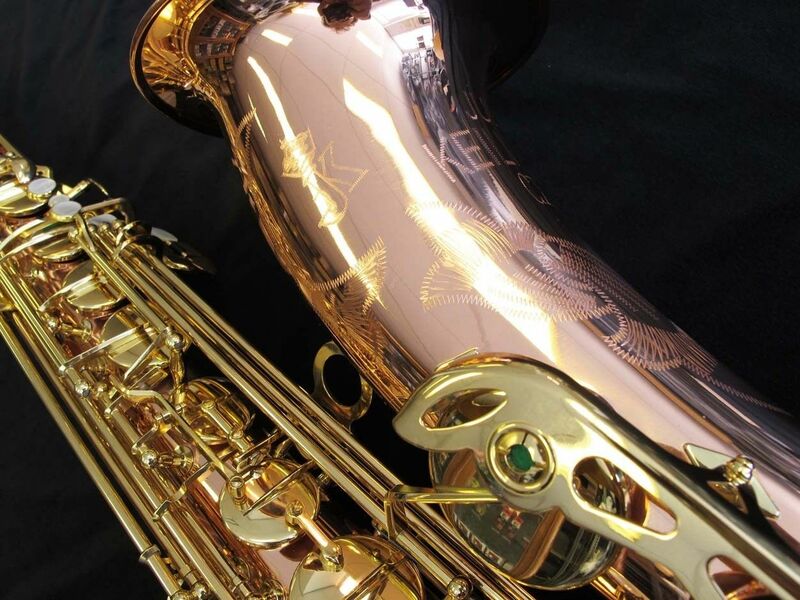 Around 2000, the Dutch company Toptone obtained a stop work order for Codera saxophones after cooperation negotiations between VMI and Toptone broke down. 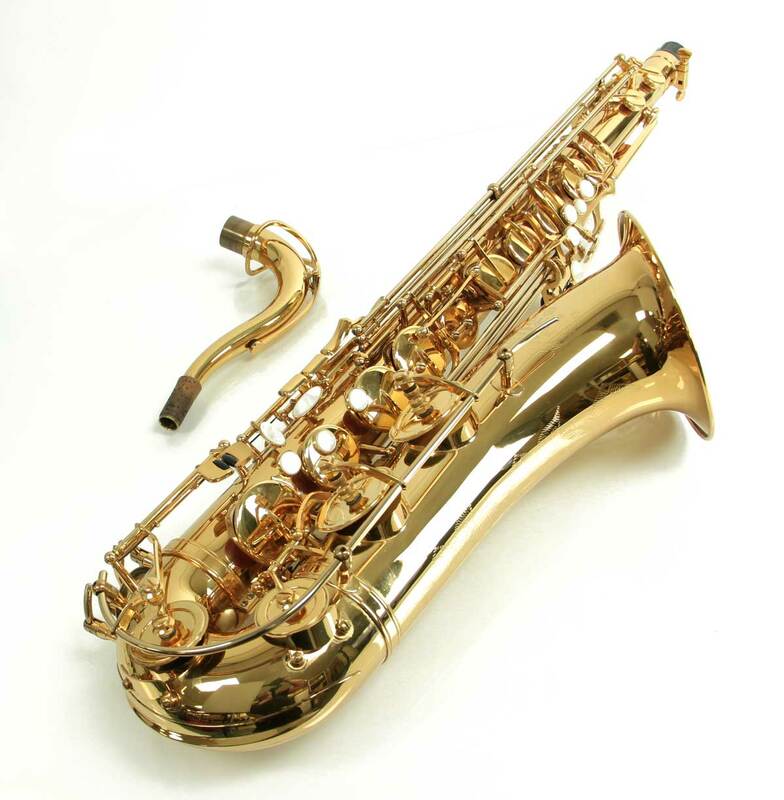 However, according to Petra Stark3 from B&S, some instruments were made until 2003; in total only 250 Codera saxophones were ever produced. At this point you might be asking yourself: What is Toptone? Who are they? 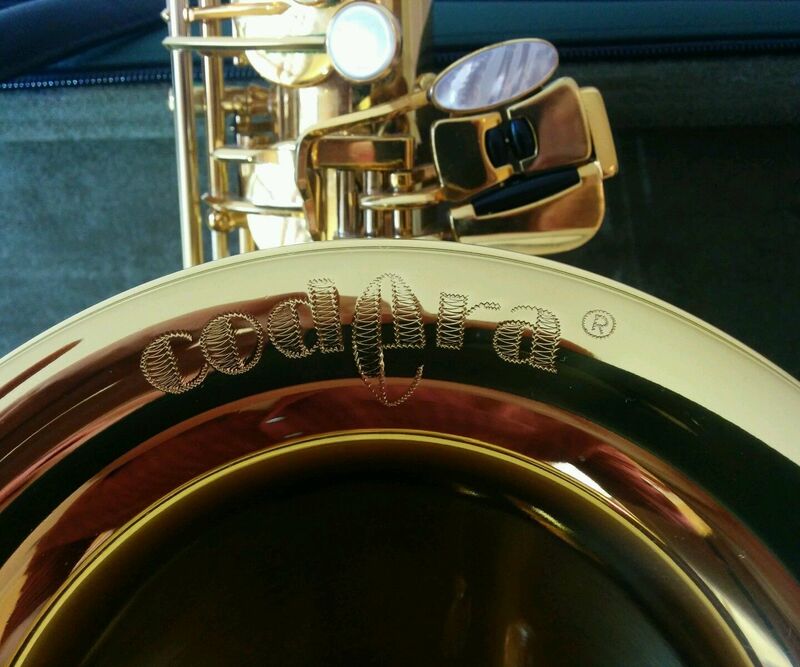 Why could they stop the work that B&S was doing on their Codera saxophones? Those are all very good questions, and not all that easy to answer. I will endeavour to do so in the coming months as I research the brand more. At this point all I have are a bunch of rumours. In time, when I have enough confirmed material, this section of the page will link to a Toptone page that I’m currently working on. 1 Quote from Wolf Codera on SOTW. 2 Saxophone: Ein Kompendium, by Uwe Ladwig. Second edition 2012, p. 160. Note: With the exception of the citations noted in the body of the text, and in footnote 1 above, the source of the information for this page was Uwe Ladwig’s book cited in #2 above. I would like to thank Uwe for so generously allowing me to use his research, and very much appreciate the trust he has shown by allowing me to do my own translation.